Popular single strap with Birko-Flor® uppers. Featuring adjustable strap, cork/latex footbed, and shock absorbing EVA sole. 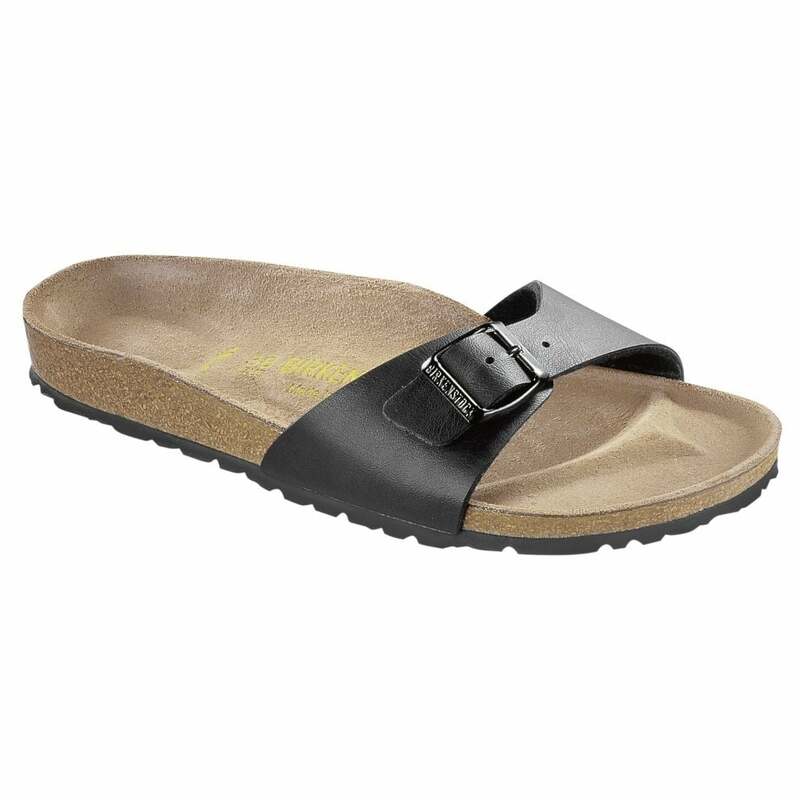 Birko Flor® is a material developed by Birkenstock® as an alternative to leather. Birko Flor® is made of soft acrylic and polyamide felt fibres with a durable smooth leather-like finish. Wipe Birko-Flor uppers clean with a damp cloth. Birkenstocks with cork footbeds come with a light coating of cork sealant on the edges, which prevents them from drying out. When the cork no longer looks shiny, apply a thin coat of Birkenstock® Cork Life. All care products are available in the accessories section.